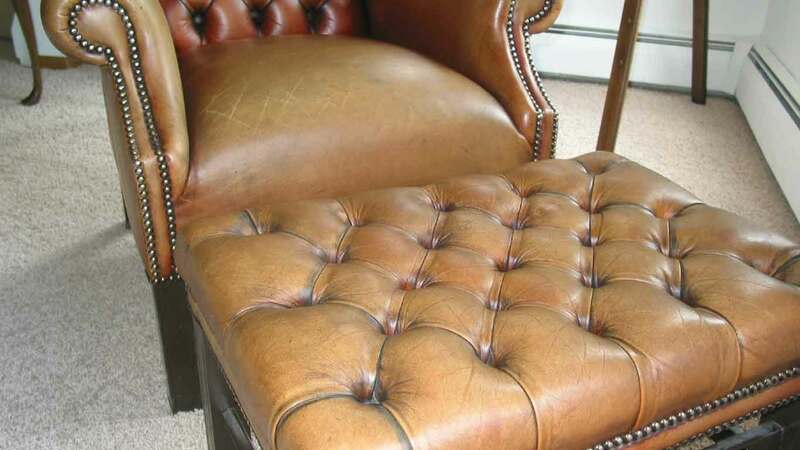 The constant usage of this Aniline wing chair with its matching footstool shows discoloration and deep scuff marks in several places. 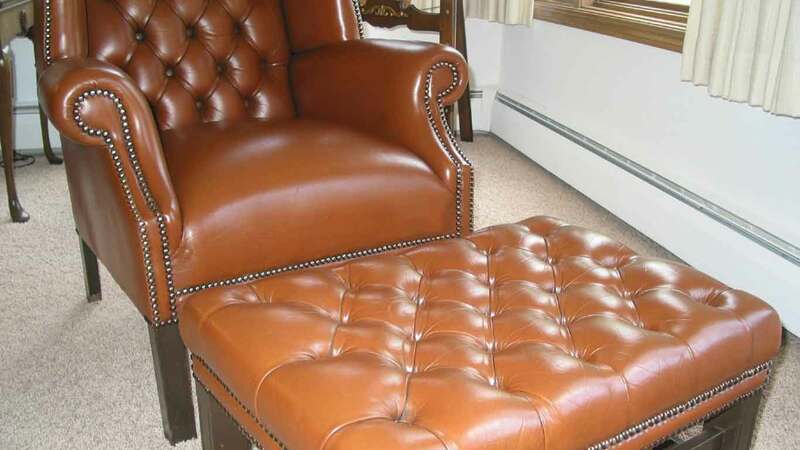 After: Color Glo’s leather restoration products and services, the Aniline wing chair and the footstool have been restored to its former glory. The rich color and polished leather makes the wing chair look brand new.